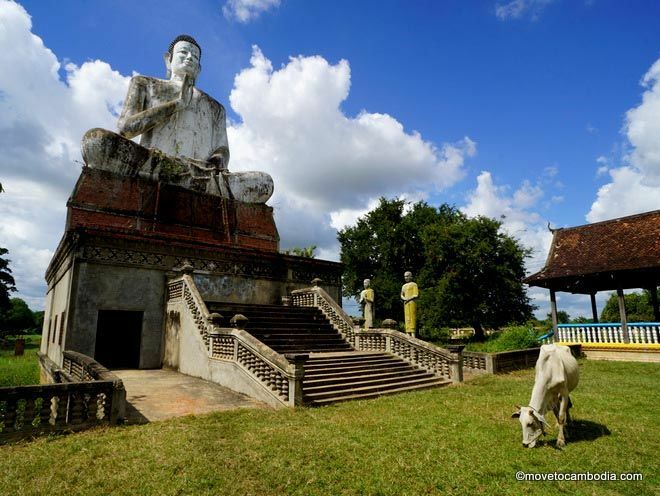 In Cambodia, Battambang is synonymous with art. For hundreds of years, Battambang was Cambodia’s hub of arts and culture, before the Khmer Rouge destroyed the arts scene in the 1970s. Over thirty years later, there’s an artistic revival in the city, and new galleries are opening all the time. 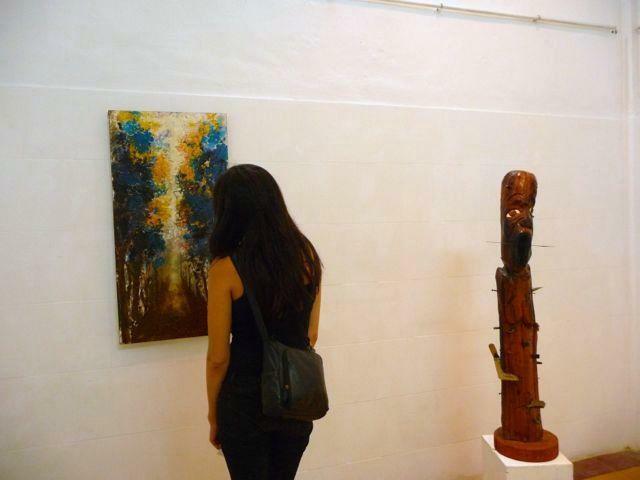 Here’s a guide to Battambang’s art galleries. 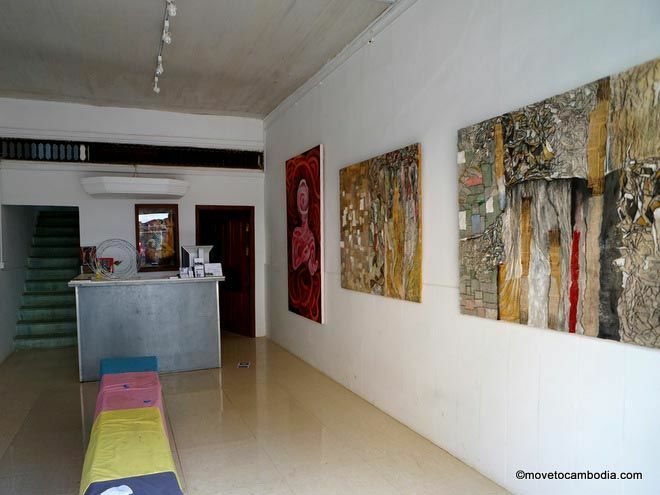 Battambang’s Lotus Gallery is a beautiful space for local art exhibitions. Lotus opened in October 2013. As the gallery does not receive any outside funding, the bar and restaurant were established to fund the gallery. Curated by owner Darren Swallow with assistance from local artist Chov Theanly and British artist Nicolas C. Grey, Lotus is more of a commercial gallery than the other galleries in town. “We’ve made a space where the local artists’ work can be seen in a beautiful setting, with someone knowledgeable about the work onsite who can speak to the customers about the work and the artists, and even bring the customer to the artist’s studio if they like,” says Swallow. Currently showing is “Made in Battambang,” a group exhibition bringing together 25 visual artists living in Battambang. Sammaki Gallery in Battambang shows works from young and emerging Cambodian artists. Sammaki (meaning “solidarity” in Khmer) was established in 2011 by Mao Soviet and a group of expats living in Battambang. 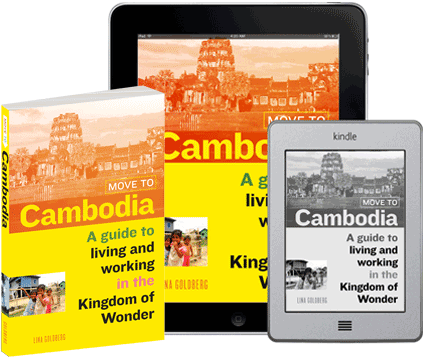 It is now supported by local NGO Cambodian Children’s Trust. Sammaki shows work from young and emerging artists, many of whom have graduated from Phare Ponleu Selpak, the same school known for its circus grads. In addition to operating a contemporary art gallery, Sammaki provides a resource library and runs workshops for local artists. Ben Thynal’s “ILLNESS/TIME” is currently showing at the gallery. 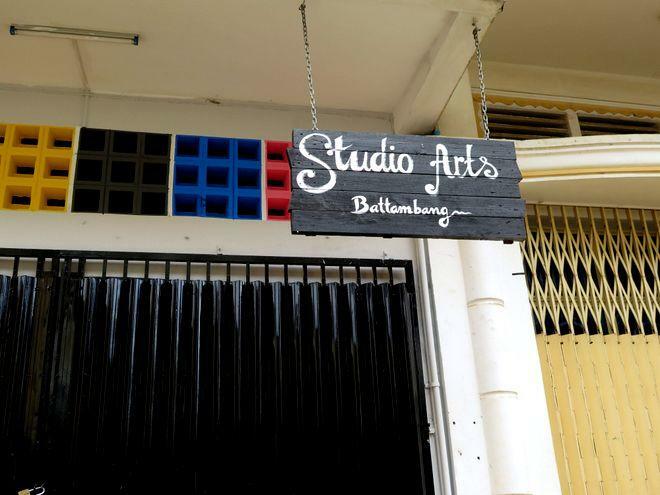 Studio Art Battambang offers artists a space to create and exhibit their work. Studio Art Battambang was established last year by local artist Roeun Sokhom. It is not only an art gallery, but also serves as a studio where artists can come together to create their work, as well as to exchange ideas. Right across the street from Lotus is Make Maek. Make Maek was established in 2011 by Khmer-American artist Kat Eng and local artists Mao Soviet and Phin Sophorn. Make Maek has a particular focus on showing collaboration between local and international artists. It has eight shows a year, with the current exhibit called “The Performing,” by Phillip Hesser and Vincent Greby. The lastest addition to Battambang’s art scene: Sangker Art Space and Gallery. 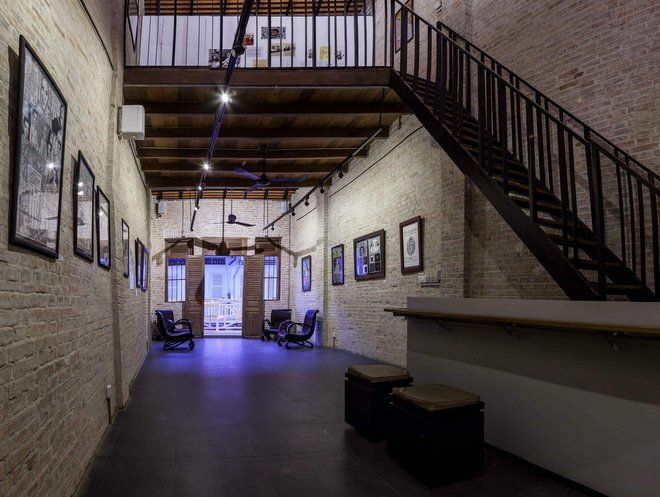 Formerly Studio Art Battambang, Sangker Art Space and Gallery is the latest addition to Battambang’s art scene, with exhibitions featuring local and expat artists. These five not enough for you? Restaurants Jaan Bai and Choco l’Art also display and sell art from local artists. This entry was posted in Art & Culture, Battambang and tagged Sammaki, Make Maek, Studio Art Battambang, Choco l'Art Cafe, Jaan Bai, Lotus Bar and Gallery, Sangker Art Space and Gallery, Battambang art galleries. Bookmark the permalink. I wonder if anyone is buying any art in Cambo..